A rounded blend of protein, fats, and carbohydrates for a complete paleo meal replacement formula! 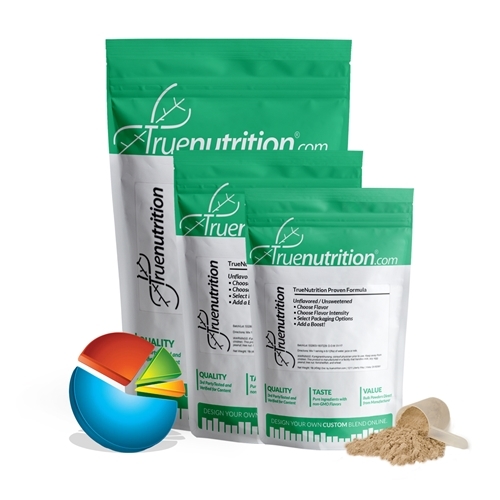 True Nutrition proudly presents our signature Paleo Meal Replacement Formula, a unique blend of whole food protein, fats, and carbohydrates that have been combined to provide a complete paleo meal replacement formula! When paired with a rounded diet and exercise routine, the Paleo Meal Replacement Formula is intended to take the place of a standard whole foods meal. Uses: Meal Replacement: Provides 21g of protein and 8g carbohydrates for a wholefoods meal replacement shake! Taste: Strong salty, earthy, and savory taste that goes best with chocolate, vanilla, mocha, and caramel flavors! Mix 1 Serving (About 1 Scoop) 1-4 times daily (or as needed) in 8-12floz of water, juice, or milk. Stir or shake and enjoy! Grass-Fed Beef Protein Isolate, Sweet Potato Powder, Egg White Protein, Lecithin (Sunflower). Great product. My issue with a lot of other brands is that many of them do not get created with the intent of being lean and building lean muscle. However, this product is a great supplement for bulking, but remaining lean and not adding any fat to the body.